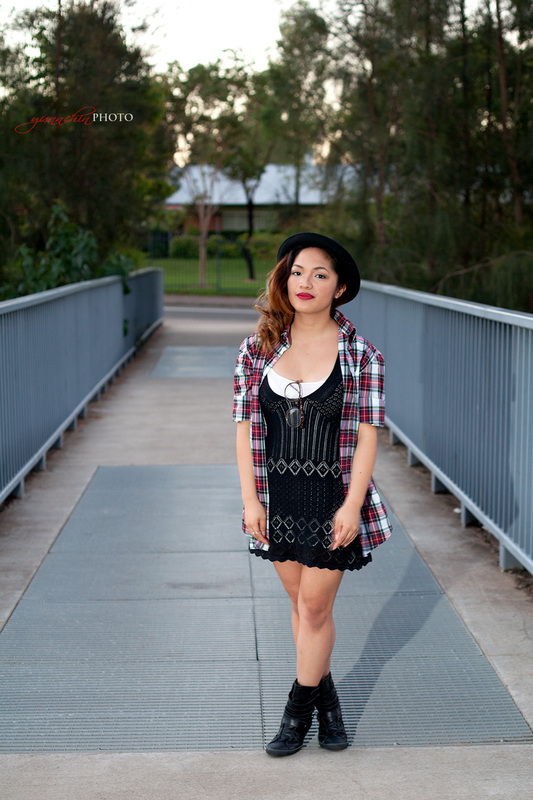 The famous 90s grunge look is back, painted all over the fashion runways with plaid checkered shirts and dresses. One celebrity that wears the 90s look so well is Rita Ora. Her signature blonde hair and red lips in contrast to her olive skin is spreading like wild fire and any girl that can pull this look off, I take my hats off to. I for one, have never fancied the whole grunge look. My world of lollipops for trees, marshmallows for clouds, unicorns for horses, usually attracts me to bright colors and girly prints. Now, even I have succumbed to the checkerboard plaid shirts and Converse shoes. This look is trending more this season because you have the freedom to mix feminine pieces with masculine pieces of clothing. For me, I find that this gives me a happy medium. I can please the tomboy in me whilst keeping my style feminine and girly. It also allows you to personalise this trend to suit your own style. This outfit was my interpretation of the 90s grunge look. Still keeping it feminine, I wore a knitted pattern dress from Glassons and a white singlet dress underneath. Covering up with my boyfriend’s plaid shirt unbuttoned (I finally have an excuse to wear my boyfriend’s shirt, when I told him to buy it, secretly it was really for me :)). To give it a real 90s feel, I wore my leather converse boots and for a pop of colour, I wore my MAC Ruby Woo lippy. 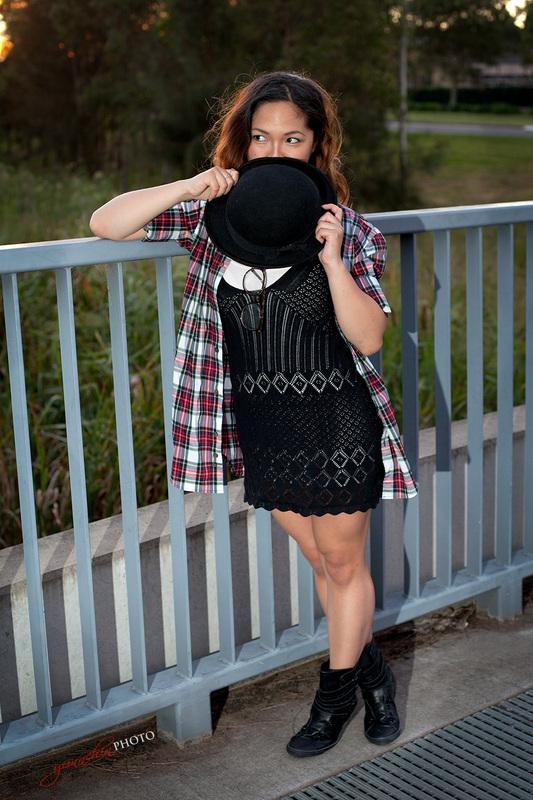 This outfit was super comfortable and fun, I’m definitely going to be rocking more of the 90s grunge look this year. What do you think about the 90s grunge trend? Follow Blog via Email and receive notifications of new posts by email.